Trek Analytics is a business intelligence consulting firm. We help you combine data from different sources into clear, accurate business measurements, turning your operational data into strategic information. Whether you need an enterprise-wide reporting system, an assessment of your current capabilities, or simply some spreadsheet or custom report development, we will help you go someplace with your data. We rely on our strong background in management, finance, and technology to guide organizations through business intelligence projects. These skills allow us to link operational and financial information to deliver useful measurements. Our passion is putting information to work. We are genuinely excited when our clients succeed, because the beauty of a business intelligence system isn't in the technology, it's in the results. We design our engagements to deliver results quickly by breaking large projects into clearly defined phases. 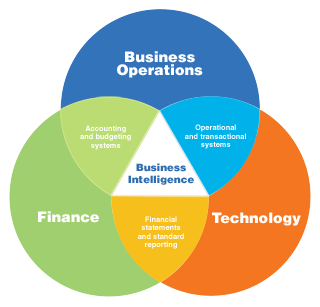 Clients realize value from each phase and complete the business intelligence journey in a series of successful stages. We focus on maximizing existing resources, utilizing clients' staff and software applications whenever possible. Get the information you need. The standard reports from your computer systems probably answer only basic questions. We make the data from different systems 'talk' to give you broad insight into the entire business. Interactive reporting allows self-service research, and drill-down capability allows you to see any level of detail. Grow customer relationships. Your operational data from invoices and transactions contains keys to your customers' preferences and behavior. We help you to identify customer service and sales opportunities by mining your data for correlations and patterns. Distribute information effectively and securely. Give your people the information they need to make decisions and take action while controlling access to sensitive or confidential data. Improve productivity and profitability. Our background in accounting and finance helps you translate operational results into financial measures. When you can 'slice and dice' your data, you can measure activity at all levels and identify opportunities to improve your operations.